This time of the year is the most popular for those who want to enjoy the hot summer of the Maltese Islands. Maybe tourists cannot experience such summer in their country, therefore Malta and Gozo will be their perfect destination. Both islands offers lots of opportunities for swimming, snorkelling and time to soak up the sun especially in our popular sandy beaches. 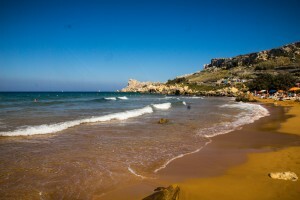 Gozo’s most popular sandy beach is Ramla Bay but one cannot forget San Blas Bay located in the village of Nadur. Considered as a miniature version of beautiful Ramla, San Blas Bay is very peaceful and set in a particular unspoilt natural area. 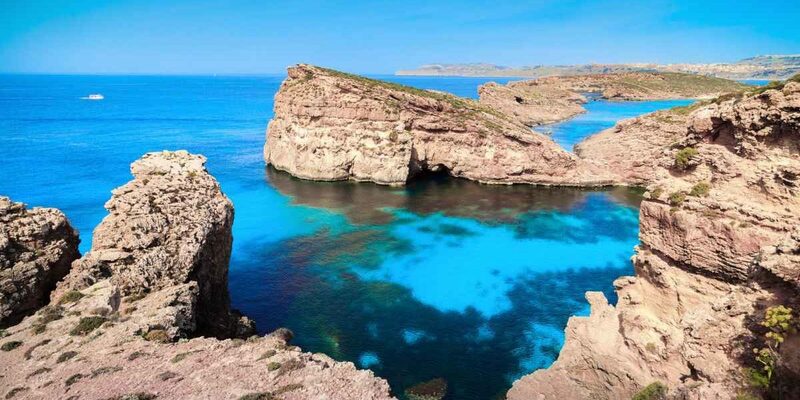 Only a hundred metres long, this red sanded beach lies at the end of one of the most beautiful valleys in Gozo. Way back, it is said that the Knights of St.John used to use this valley as their hunting ground. Ta Sopu Tower built in 1670 by the Knights, can be seen from this tiny magnificent beach. Due to the fact that it is quite hard to access, San Blas Bay is less crowded. Its reddish-orange colour, the rocky landscape and the shallow clear water of San Blas has made it special and unique. Even in winter time, it is ideal and a great spot to have a picnic with family and friends. Click here to view San Blas and its natural surroundings. 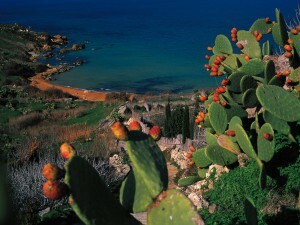 To access this spectacular beach you have to go through the village of Nadur. The only access to the beach is a steep hill. You can go half way down by car although the parking area fills up quite quick since the parking space is very limited. If you are not lucky enough to find a car space, you have to walk approximately 2 kilometres to get to the beach. Nevertheless, once you arrive, you will immediately realize that walking all the way to reach San Blas was all worth it. 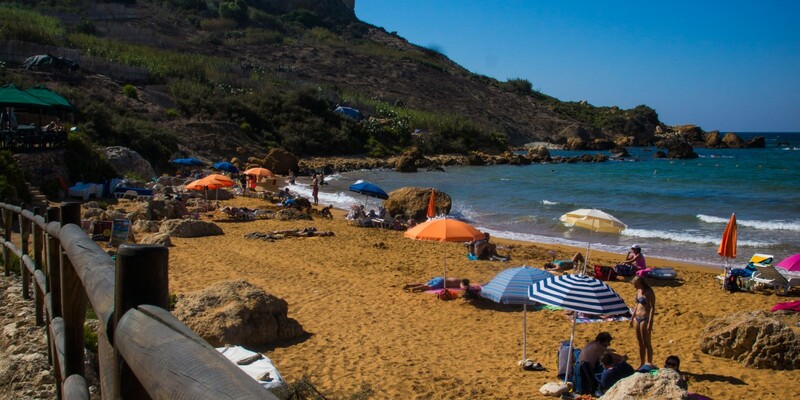 Even though it is more secluded than other beaches, facilities such as canoeing, renting of umbrellas and sunbeds can be found. Even a portable kiosk is available selling drinks and snacks. 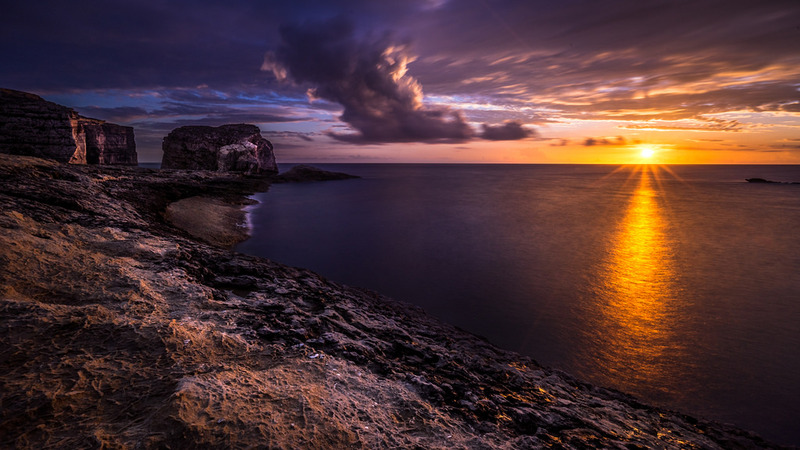 Contact us to discover more about Gozo’s hidden gems, and we will be happy to accomodate you.